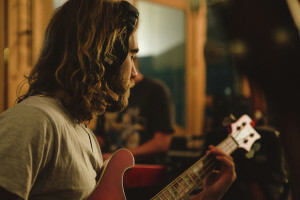 Two and a half years after the release of his most successful single yet, ‘Resolution’, Matt Corby today returns to the national spotlight with his new single ‘Monday’. But his legion of fans have clearly decided it’s been worth the wait, sending the track rushing into the top 30 on iTunes since it dropped earlier today. Matt explains the wait for new material in a statement, released to the media today. ‘Monday’ is the first taste of Matt’s forthcoming (desperately long awaited) debut album, which we’re told we should expect early in 2016. And fans will get the chance to be among the first in the world to hear the new material when Matt pops on the road for a national tour in November. Dates in all five main cities are locked in, with tickets on sale from 9am tomorrow.